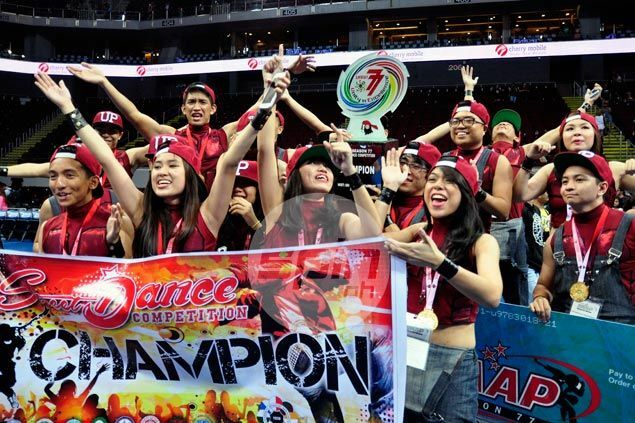 THE University of the Philippines Streetdance Club emerged as the champion of the UAAP Season 77 Streetdance competition on Sunday at the Mall of Asia Arena. UP scored a total of 178.0 points from the judges to win the crown and the P120,000 top prize in the competition’s return to the UAAP scene after a one-year hiatus. Company of Ateneo Dancers wound up a far second with 167.3 points while the De La Salle Dance Company placed third with 167.0 points. UP, which incorporated traditional Filipino street games like patintero and piko into their routine, bounced back after finishing third behind La Salle and Ateneo in a competition backed by a shoe company two months ago. “Natuwa kami na bumalik ang UAAP (competition) during the second semester dahil usually, walang competition during the second semester,” said UP coach Von Ace Asilo. Creativity, spacing, format, and staging, showmanship and entertainment value, attire, variety of styles, overall choreography, musicality, timing, execution, technique foundation, and difficulty were considered by the judges in the scoring system. Adamson Cast placed fourth with 160.3 points while Far Eastern University Dance Company took fifth with 151.3 points. University of Santo Tomas Salinggawi Dance Troupe, which also competes in the UAAP cheerdance competition, only finished sixth with 143.7 points, while University of the East Warriors and National University Underdawgz finished seventh and eighth with 137.0 and 126.5 points, respectively.